A drone in use. Regulations and prohibitions are being considered according to Senior Civil Aviation Officer, Royston Griffin. 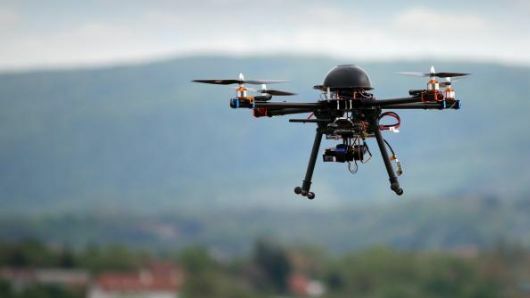 BASSETERRE, St. Kitts -– Legislation will soon be put in place to regulate the operation of unmanned aircraft, which can pose risks to privacy, safety and security, according to Senior Civil Aviation Officer, Royston Griffin. “It is now common to see drones buzzing across the Federation’s skies freely taking pictures and videos,” said Griffin. “Several meetings have already been held with the different stakeholders including the Police and Customs, to put draft legislation together to ensure that they are keeping the guidelines from the International Civil Aviation Organization (ICAO) about how to handle drones. The senior civil aviation officer stated there will be areas where flying drones will be prohibited. “There will also be a policy that states when a person orders a drone, he or she cannot clear the drone from Customs unless it is registered,” said Griffin. “There will be an account and tracking of persons who own a drone. “The owner would have to communicate with the Control Tower, said Griffin, adding that there will also be drone insurance as the out of control equipment can damage property. He said people will be required to have training in how to operate drones. “A drone cannot operate without being in line of sight because a drone is not just a toy, it could be a weapon at the same time,” explained Griffin. “There have been reports of drones invading peoples’ privacy. “There have been cases reported of people laying by their pools and a drone has flown over taking pictures. That is why we have restrictions about drone use.